Maurice Elias, an expert on social emotional education, believes Jewish wisdom has valuable lessons for contemporary parenting. Dr. Maurice Elias of Highland Park believes Jewish tradition has plenty of wisdom to offer young parents struggling to create a peaceful home — but that such wisdom isn’t always easy to access. 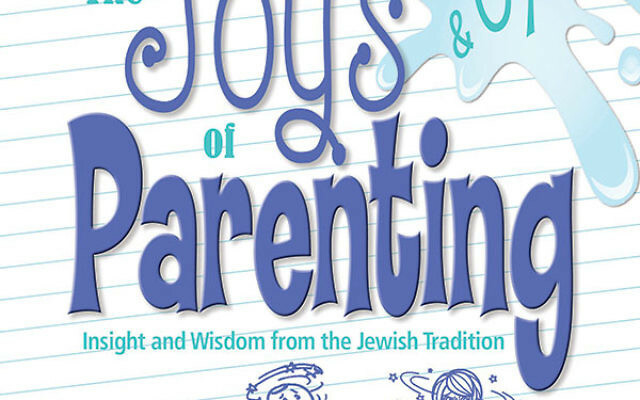 To fill the vacuum in the Jewish parenting arena, he has published The Joys and Oys of Parenting: Insight and Wisdom from the Jewish Tradition, coauthored with Marilyn E. Gootman and Heather L Schwartz. The foreword is by Rabbi Kerry Olitzky, the founder and executive director of Big Tent Judaism, who lives in North Brunswick. 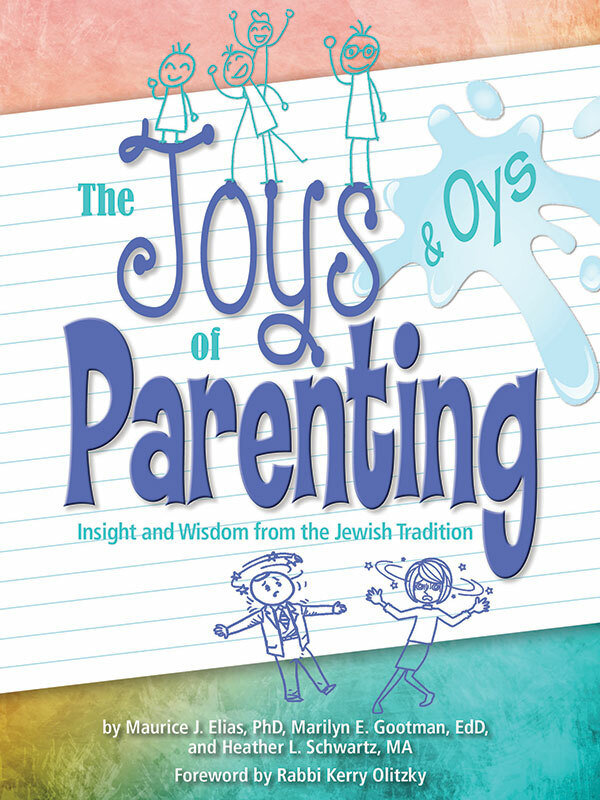 In the book, issued in October by Behrman House, the Jewish publishing firm based in Springfield, the authors offer seven chapters comprising basic tenets of parenting: creating shalom bayit (peace in the home), establishing routines, fostering resilience, promoting responsibility, sparking motivation, nurturing kindness, and cultivating gratitude. Each includes an explanation of the respective roles and an approach to understanding its connection with Jewish texts, Torah, and tradition. For example, establishing routines includes an explanation of why children need them, along with suggestions for ways to create them, such as the bedtime ritual of reciting the Sh’ma and a weekly Friday night Shabbat dinner. The book’s big idea is that Jewish understanding handed down through the ages also happens to be consonant with parenting advice from contemporary experts in the field. Elias has written numerous books on character education, emotional intelligence, and parenting, as well as an award-winning parenting column. He also happens to have plenty of expertise in Jewish education and identity; in addition to his research in Israel on social-emotional education, he is a longtime member and former chair of the religious school committee at Highland Park Conservative Temple-Congregation Anshe Emeth, where he will speak Sunday, Feb. 5. Elias, a professor of psychology and director of clinical training at Rutgers, is director of the university’s Social-Emotional and Character Development Lab and a contributing faculty member in its Jewish studies department. He also serves as an advisor in life skills education to the Israel Ministry of Education. The program, which is being cosponsored by the PJ Library program of the Jewish Federation in the Heart of New Jersey, will also feature a Tu B’Shevat crafts program for children ages four-10 conducted by Sherri Lerner, volunteer leader of temple youth and family programs and mini-minyan/junior congregation. Elias spoke with NJJN in advance of an appearance at Congregation Beth El in South Orange on Nov. 6; the following is an edited version of the conversation. NJJN: What was your goal in writing The Joys and Oys of Parenting? Maurice Elias: My coauthors and I had a couple of goals. First, a lot of times, we found there is a gap between what happens in the religious education world and what happens at home. We want to bring these worlds closer together. We want to make clear for parents ways they can incorporate Jewish values in their home in ways that make sense, and not necessarily religiously. That may sound like a contradiction, but there’s a lot of wisdom in our Jewish tradition that also turns out to be consistent with social-emotional education. And there are feasible, practical ways to bring Jewishly informed insights into the ways parents run their households. NJJN: Can you provide some examples? Elias: Absolutely. Shalom bayit, or peace in the home, is the first thing we talk about in the book. That’s our overriding goal: If you have shalom bayit, everything else falls into place. We want people to see that this is attainable and feasible, even if they do not operate out of strict ritual observance. It’s easy to forget, but the last time I checked, our patriarchs and matriarchs were not members of synagogues, they did not pay dues, and they did not have the pews up in the front of the sanctuary, but somehow, they still managed to be good Jews. We have to broaden our perspective on what it means to embrace Jewish tradition. NJJN: Are you surprised at the ways traditional Jewish parenting intersects with contemporary thinking about character education and social-emotional education? Elias: No. Our sages were pretty sage-like. The Jewish tradition, I think, is unique among religions in that it is based on a tradition of studying families that were often in conflict and that weren’t perfect. We’re talking about sibling rivalry and relationships. The importance of relationships comes up over and over again. If you focus on family life and people who aren’t perfect, that will lead to insights into human behavior and ways of being that fields like psychology will eventually uncover. It’s not surprising. And what we are finding out in emotional intelligence and character education research is the importance of relationships. In the absence of caring relationships, very little else of value can be accomplished. NJJN: How did you decide on what to cover in the book? Elias: We had so many things to consider; we prioritized and decided to focus on seven questions we feel every parent is focused on. The last two, involving kindness and gratitude, are so important in the Jewish context but are somehow lost in our mass culture. This is where Judaism has a major contribution to make to general parenting. These are going to be so important in all aspects of life, but in our hectic society sometimes they are put on the back burner. NJJN: You dedicated the book to the memory of Rabbi Yakov Hilsenrath, former religious leader at Highland Park Conservative Temple for 30 years, who died in February 2014. Can you discuss his influence on you? Elias: Back in the 1980s, Rabbi Hilsenrath started what he called PEP: the parenting education program. He recognized that parents’ approach to Jewish education was basically dropping their kids off and picking them up. What can you possibly accomplish if the parents themselves are not being educated Jewishly? So while the kids were in Hebrew school, he was meeting with us parents. This book is dedicated to him because a tremendous amount of wisdom comes from his lectures and classes and the notes I have of many things he communicated. “Shabbat on Tuesday” inspired a large number of parents who did not grow up with Shabbat to incorporate elements of it into their family life — and it could be just having a meal together. You’d be hard pressed to find a magazine article or a book that does not say family coming together for a meal [is important]. Well before the research, Rabbi Hilsenrath made it very clear to us, even for folks who weren’t fully observant, the importance of gathering everyone at the dinner table at least once a week. And he would say, Why not do it on Friday night? His view was if that’s all you did, that’s fabulous. If you did a little more, so much the better. His philosophy was so empowering. What we could do was enough. If we could aspire to do more was even better. He never wanted parents to feel that what they were doing was inadequate. We want folks who are reading our book to feel similarly — that whatever they can pick up will add benefit, and if they pick up more, that’s more benefit.